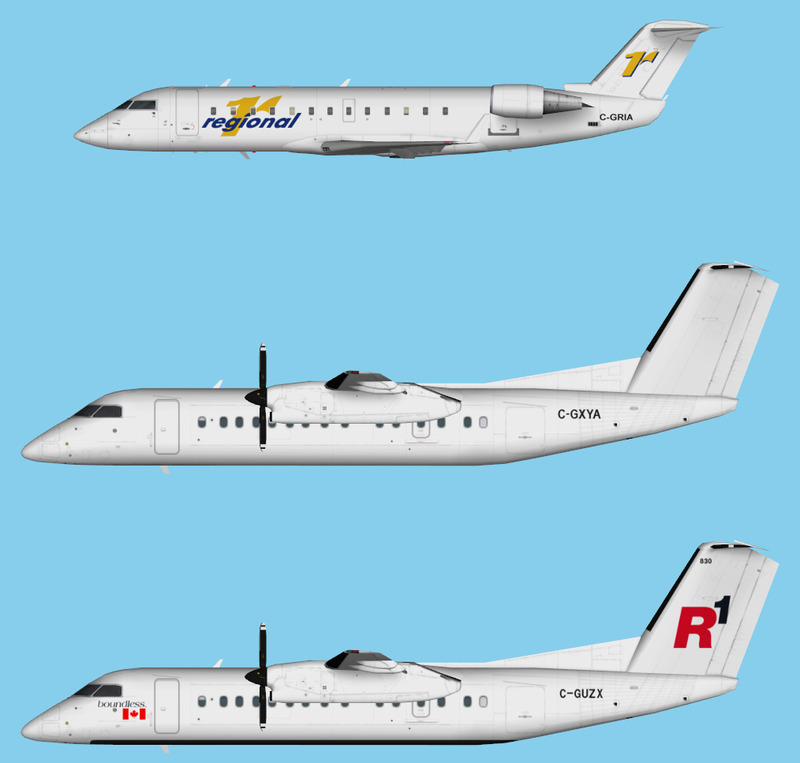 R1 Airlines fleet repaints for the TFS Dash 8-300 and the AIM CRJ-200. These are textures only. The TFS Dash 8-300 and the AIM CRJ-200 base models are required. It can be found at www.avsim.com. Search for tfsdh3.zip and aim_crj200_basemodel.zip.